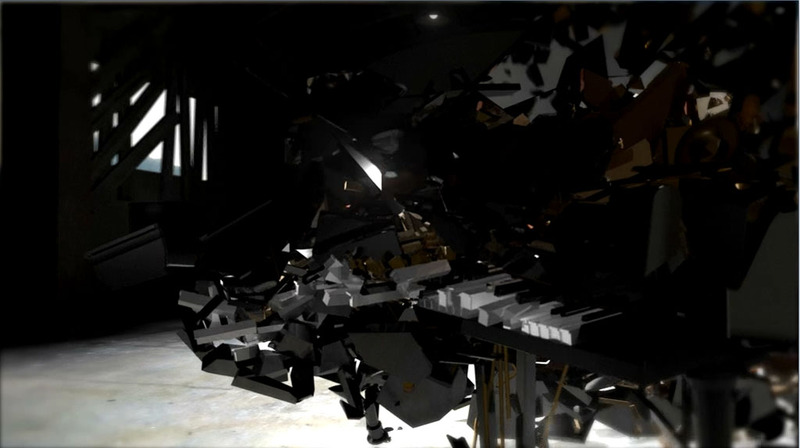 The Rewind teaser was done with MAYA, pulldownit plugin and After effects. 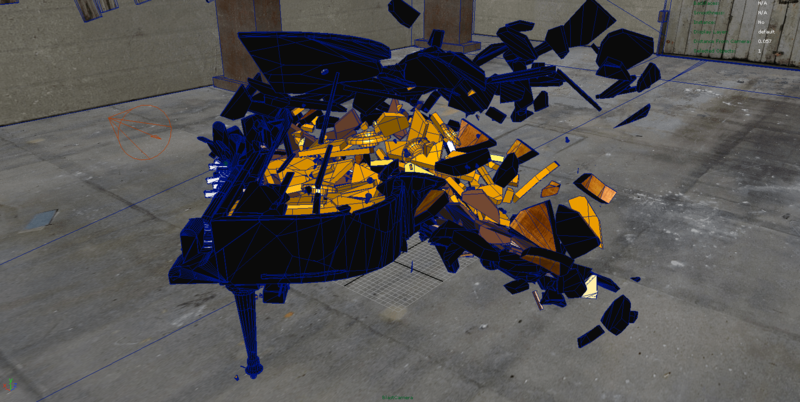 So first i shattered my piano in 500 pieces and i make it explode with a cylinder which collide the piano from the back to the front….the render was done with Mental ray and the scene was shooted at 300 fps. The footage of Rewind was static so there was no tracking to did. So i started the compositing in after effects (i choosed to render with multi pass for more flexibility) with color correction, DOF… and the first impression was : the footage of rewind seems stick above the background, he wasn’t integrated well. 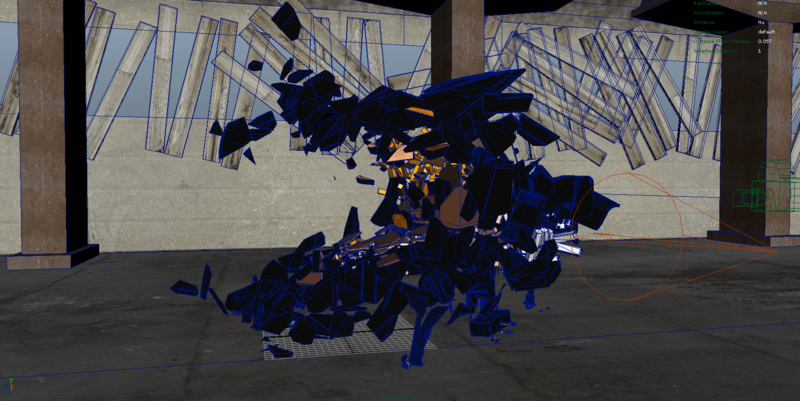 I decided to render some particles in alpha…without background and integrate the pass above rewind.